The bunkering tanker Corina caught fire at berth of Nijverheid in IJssel, Netherlands. The flames erupted in the engine room by short circuit of diesel generator and engulfed the compartment. At the scene of the accident arrived Marine Firefighting Team (SBB) with one truck and succeeded to extinguish the fire within several minutes. The tanks and fuel system were not affected, which prevented from more serious accident. The engine room was ventilated with a high pressure ventilator after the fire was out and allowed the firefighting team to enter inside and assess the damages caused by the flames. According to the ship owner and skipper, the damages were concentrated only into the engine compartment. The Seaport Police started investigation for the root cause of the fire. Fortunately during the accident there were no injured people and no water pollution. The local authorities ordered full inspection of the ship before return in operations. 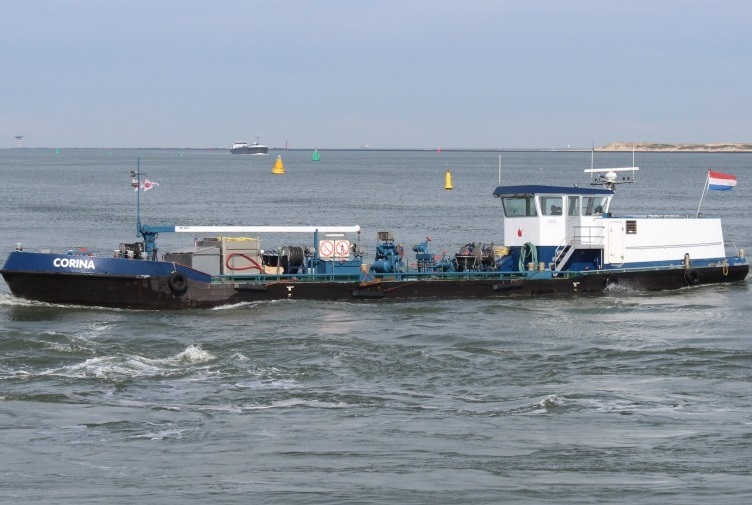 The bunkering tanker Corina is inland barge vessel, which has overall length of 32.50 m, moulded beam of 5.30 m and maximum draft of 2.16 m. The gross tonnage of the vessel is 189 GRT. The bunkering tanker Corina is driven by Scania DI 12 engine with power of 360 hp. 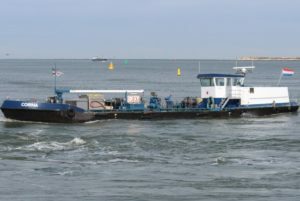 The vessel was built in 2003 at the shipyard of Ruijtenberg, Netherlands.